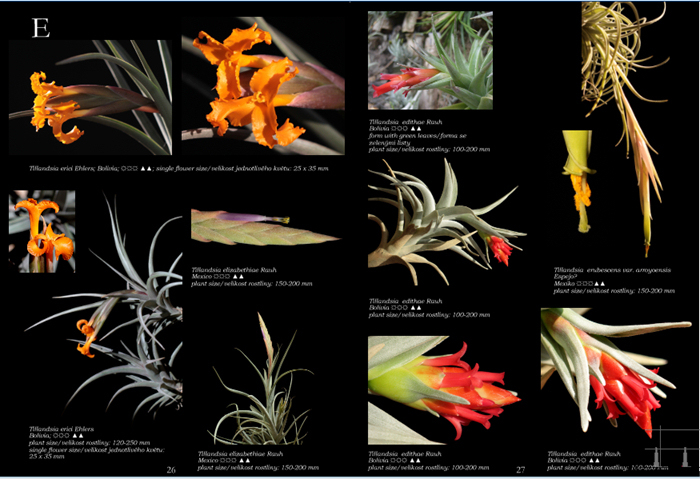 After two years work (and five years of photography) I finished my first book about airplants / Tillandsias. 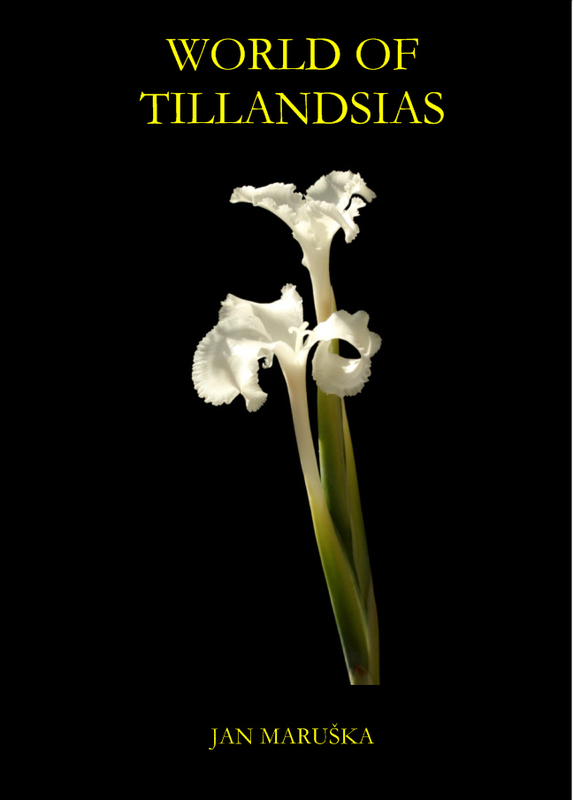 I would like to present here the book, the basic information for tillandsias´ enthusiasts all around the world. The conception of the book is like a luxury book on a heavy paper ((170 g/qm)) - one book weight is about 700 g. Book has 96 pages and there are more then 430 pictures, more then 160 different species /taxon, forms/. The book / taxonomy / is reviewed by Mrs. Lieselotte Hromadnik (Austria). She is the one of the biggest experts for airplants in Europe. 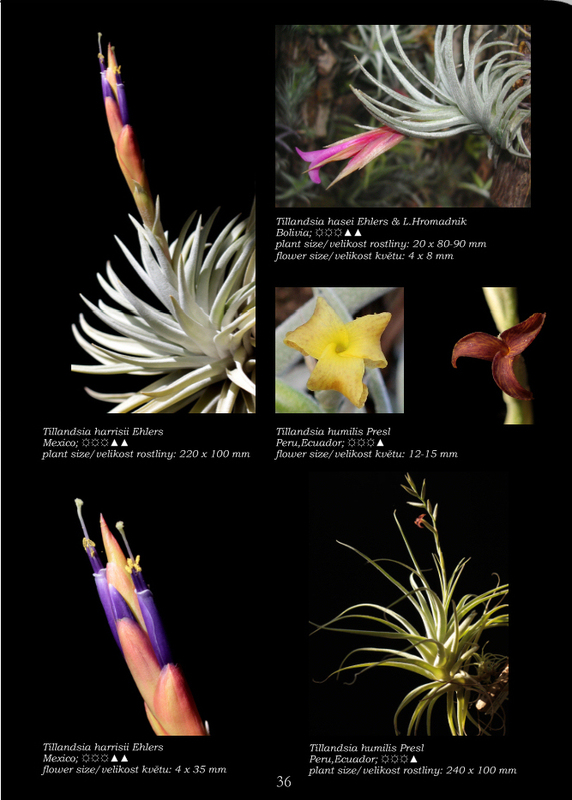 Also is good to mention that there is very valuable and detailed description of most species of subgenus Diaphoranthema (genus Tillandsia has seven sub-genus).
" Especially for the Diaphoranthema group there is nothing comparable to it." The book is bilingual / English and Czech language. Every plant has short description, size in "mm" etc., pictographs how to grow each species. Here in the attachment you can find the cover page and sample pages from the book. There is minimum text, mainly pictures with descripiton and pictographs how to grow each species. The book was printed between August / September 2011. The book is still available. If you will be interested to buy this unusual book, please, let me know, I can organize it just write me an email. The number of copies will be limited.